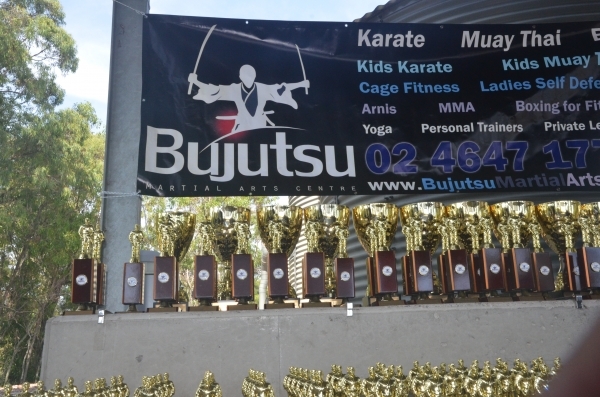 This years Annual Presentation Day will be held at our dojo. Unfortunately, Mount Annan Australian Botanic Gardens have informed us that our presentation days have grown too big for them to be able to accomodate. 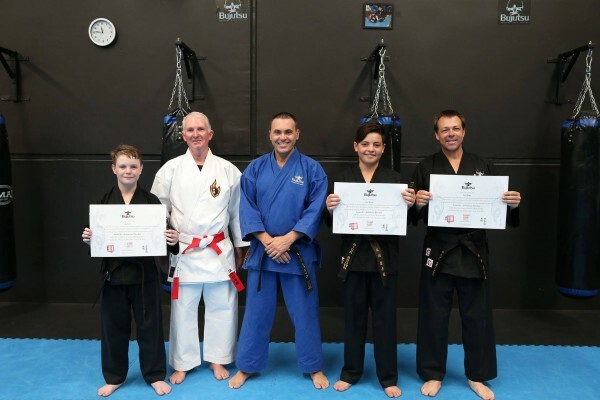 The only affordable option for families is to hold the Presentation Day at our dojo. Don’t miss out on this event. You can book your spot now!!!!!!!!!!!!! Cost $23 per student. Family members are FREE. We will be adopting a new format for this years presentation day. This year we will be using our carpark to set up our presentation day. We have booked Hyper Foods who will be selling Popcorn, Fairy Floss and Snow Cones. We have also booked Gregory Hills Rotary Club, who will be selling sausage sandwiches and drinks. For the kids we have booked a large jumping castle. We are currently looking into further entertainment for them. 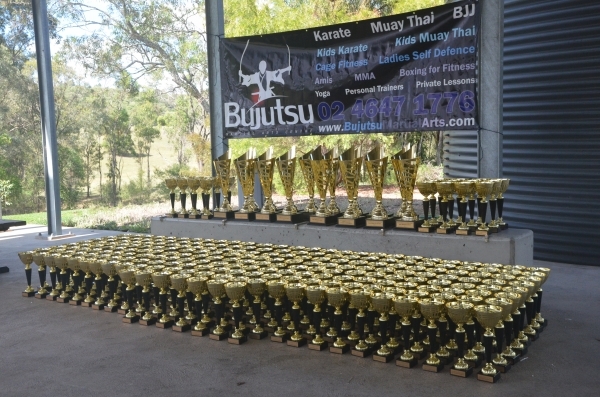 This year we will be awarding trophies by surname. If your surname commences with an A to K, you will need to be at the dojo between 9am and 10.30am. At 9am we will start to award trophies for these members. If your surname commences with an L to Z, you will need to be at the dojo between 10.30am and 12pm. at 10.30am we will start to award trophies for these members. You are welcome to come and collect your trophy and head off. But we are hopeful that you will hang around for a little while and spend some time with friends. Chairs, esky’s, picnic’s and alochol are welcome. It is your choice whether you bring a picnic or simply purchase from Hyper Foods and Gregory Hills Rotary, or do both. Every student who attends will receive a trophy. Additionally, 16 major awards will be presented. The $23 per student will be used to purchase trophies. In order to assist with paying for the major trophies, jumping castle and other costs that come up, we will run a Cadbury Chocolate Fundraiser. Please support this fundraiser if you can. Boxes of chocolates will be available in the near future. If you miss the R.S.V.P date you miss the event. Remember if you can’t be there on the day we do understand. We hope that you will also understand that we do not award trophies unless you attend the Presentation Day. If you don’t turn up on the day, we will not issue you a trophy. (Please note that spots are limited. If you need a particular day, please book your spot quickly before you miss out). Please note that these dates are subject to change in order to meet operational requirements. Remember that you are welcome to do make up lessons before or after these disruptions. Bushido is a word that is widely used in the martial arts world. However, it is also a word that is not really understood by most. I have provided a very basic summary of the word Bushido. 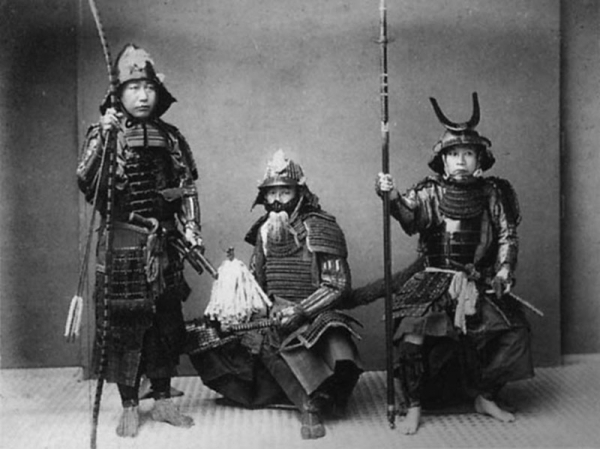 Bushido was the code of honour followed by samurai warriors throughout Japan. It is believed that the Bushido code of honour has been in existence since around the 8th century. 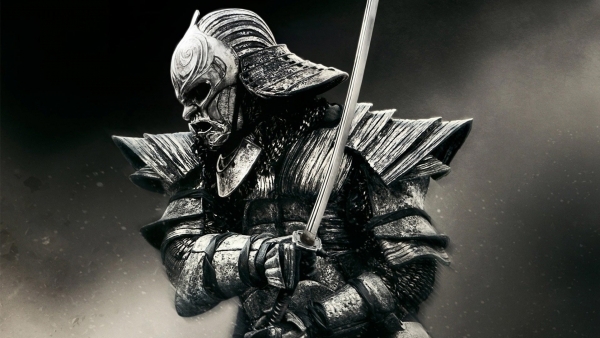 If we break down the word “Bushido”, “bushi” means warrior. While “do” means path or way. Hence, the literal translation of Bushido is “way of the warrior”. In short, Bushido was a code of moral principles by which the samurai were required to live their lives by. I won’t go into depth about the 7 principles in this paper. I will leave that for another time. It is with great pleasure to have the opportunity to write about the significance of the seiza position in Karate-do. I have given my utmost effort and scrutiny of every word in the hope of transmitting the art as accurately as I could base on my limited knowledge. I hope this can help to clarify some misconceptions regarding seiza for whomever is interested. Hopefully, a person of greater skill and knowledge will come along someday and make the necessary amendments to further our Karate-do knowledge. respect, alertness and competence in their chosen art. 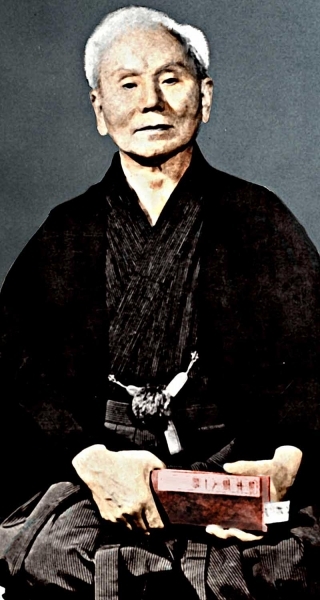 Budo is a term that includes a diverse range of traditional Japanese martial arts and so it is not surprising to find different disciplines having their own unique way of performing seiza. However, the spirit and essence of seiza remains constant although the performance of seiza may vary across disciplines. Due to the limited scope of this paper, we will only concentrate on the practice of seiza in Karate- do. The importance of seiza cannot be over emphasized because one can infer a karate-ka’s(practitioner of Karate-do) level of ability just by observing the way he or she moves in seiza. One needs to understand the origins of seiza to fully appreciate its significance in the Japanese culture and ultimately in the dojo. Hence, the practice of seiza is not merely a fancy way of sitting but conveys mannerism and a conduit to improvement in Budo and one’s self- development. The floor culture can trace its origins in ancient China from the Shang dynasty (1744- 1046 B.C) to the Tang dynasty (618-907 A.D). This cultural influence eventually spread to Japan where the practise had further developed into a more refined manner in modern times. The ideogram for sitting (坐) consist of two people sitting on the earth and there were many methods of sitting on the floor. The floor culture eventually disappeared from mainstream Chinese culture by the end of the Song dynasty (960-1279 A.D) due to increase contact with other Eurasian continental cultures. However, the floor culture presisted in Japan and the current seiza position has been in existence in for a long time but it was not given its name until much later in the Meiji period (1868-1912 A.D). Painting of Confucius teaching his students who are sitting in seiza. (Zhou dynasty, China, 1046 – 256 B.C). Figurines of two people sitting in seiza in front of a table. (Han dynasty, China, 206 B.C -220 A.D). There are many sitting positions and one of these sitting styles is known as “Agura” (胡坐) where a person sits with their legs crossed and relaxed. The agura position was normally used during informal situations or by someone of higher authority. Consequently, subordinates were required to sit in the seiza position because it demonstrated respect and allowed the subordinate to stand up quickly to perform tasks ordered by their superior. 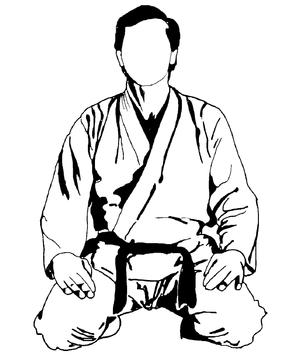 Thus, the seiza position is not intended to be relaxed. It was a position of alertness and readiness. French illustration depicting the Shogun sitting in agura while his ministers sit in seiza denoting their difference in rank. (Meiji period, Japan, 1868-1912 A.D). The seiza position was also commonly used in ritual situations such as Buddhist ceremonies where participants convey their respect and manners. The development of the tea ceremony in Japan also required participants to sit in the seiza position which further its popularity. This is due to the recognition that the tea ceremony is a ritual itself and demanded respect from its participants.